The local newspaper in Saint John, New Brunswick, hit the jackpot when they interviewed 96-year old Mrs. James Peter Hanington in July 1948. “”I always said I would not be old till I was 90’ said the charming silver-haired lady, with the sparkling dark eyes who was recalling her girlhood days in Saint John”. From a remarkable retentive memory, Mrs. Hanington described events of many decades ago as though they were only yesterday, but was fully aware of and concerned about today’s issues. One of her fondest memories included waltzing on skates to a live band with a gong sounding every half hour signalling the skaters to reverse direction. She also recalled attending not-so-very interesting lectures at the Mechanics’ Institute with her girlfriends enabling them to meet the boys at those gatherings. Entertaining was done in the home and was a simple matter due to the availability of affordable domestic help. A cook’s wages were only $6 a month! 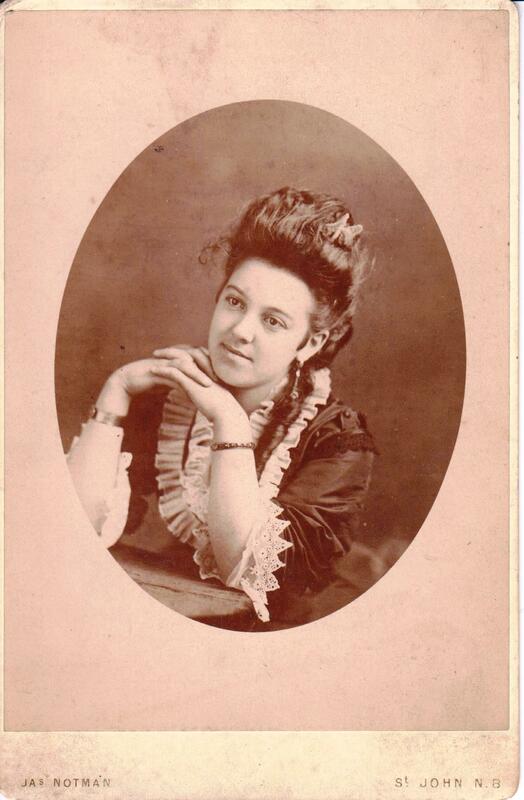 The great expanse of her memories included a small playmate telling her of Lincoln’s death, the street lamplighter with his ladder going from lamp to lamp and the thrill of her first ride on a passenger train from Moncton to Saint John. Gertrude Davidson (my great grandmother), born in Saint John, NB, in April 1852, was the daughter of William and Mary Ann (Thorpe) Davidson. Her father was a prominent lumber merchant and the grandson of the first settler on the Miramichi, who came out from Scotland at the age of 20. Gertrude’s earliest memories of her native city of Saint John were centered about the Davidson home at 98 Germain Street, the fine brick building her father erected for his family and to which she moved at the age of five. Her father had been confident when the Great Fire of 1877 was at its height that the slate roof and brick walls of his home would be ample protection. He was wrong. When forced to leave, her father had locked the door to keep out the thieves. But fire proved a more thorough villain and all treasures were lost. Gertrude saw the spire of Trinity Church fall that terrible day and was very anxious about the safety of the people. However, blessed with a wonderful sense of humour, Gertrude commented on the strange attire of the people who attended a church service in the Victoria rink after the fire. They had obviously escaped without their Sunday best! 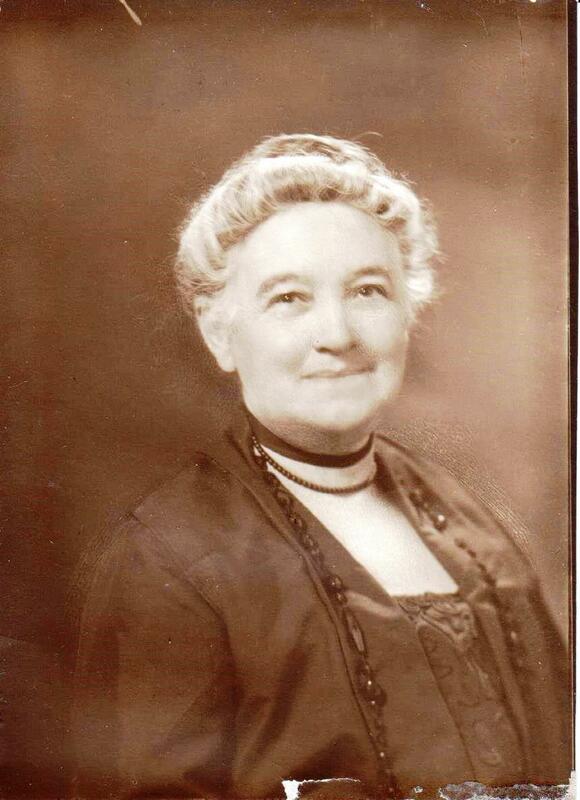 As much as she loved Saint John, she moved her family to Montreal in 1890, when her husband, a successful local pharmacist, decided to go to McGill University Medical School at the age of 44. 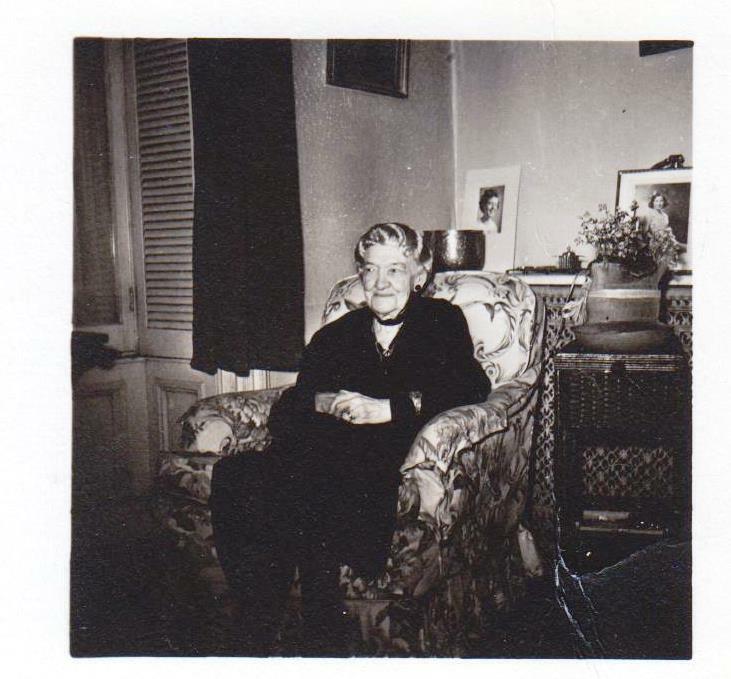 Her seventh daughter (my grandmother) was born in Montreal in 1895, when Gertrude was already 42 years old. While in Montreal, she raised her family, supported her husband’s new medical career, entertained frequently in her home and was an active member of St. John the Evangelist Church. She was very well respected in the community and enjoyed a large circle of friends. During her long life, Gertrude had had her full share of illnesses and ailments but her knitting needles were always busy…and without the need of eyeglasses! Perhaps being married to a Pharmacist turned Doctor had its fringe benefits! The Evening Times-Globe, Saint John, New Brunswick – July 7, 1948.